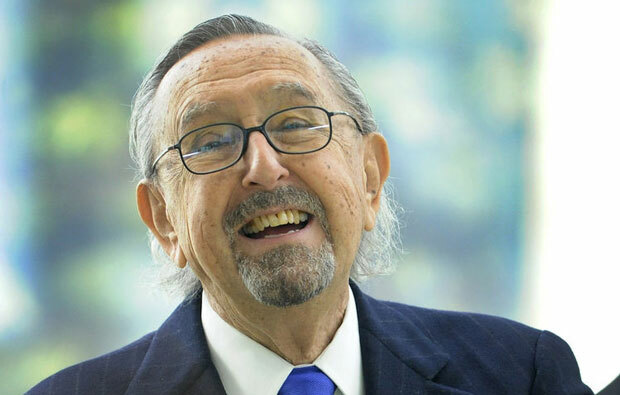 Famous for his tall buildings, César Pelli was born on October 12, 1926 in Argentina. He spent the childhood among a small collection of books by his parents, and apart from that most of his time used to go with drawings or learning about constructions of all sorts. At the age of sixteen, when he was to adopt a career, he went for architecture without knowing much about it but ended up loving it from the core of his heart. Pelli got his degree in architecture from The National University of Tucumán and started teaching architecture at his school. After some time he got a job as Incharge of design department at a local firm then moved to America to get his master’s degree from the University of Illinois at Urbana-Champaign. Pelli started off his professional life by getting associated with a firm in Bloomfield. From 1964 to 1977 he worked in association with different firms and learned a huge deal about technology relating glass skins, producing buildings with lightweight and translucent quality. Later in 1977 Pelli set up his own office and also started serving as dean of the School of Architecture at Yale University from 1977 to 1984. By the mid-1990s, César Pelli’s light weight and tent like buildings had gotten him enough fame all around. His buildings were well known for their delicacy and thin appearances mostly faceted with glass or a thin stone veneer. His projects exhibited profoundly an attraction and bend towards abstract, crystalline glass shapes banging with linearity through the use of colored stone or metal. César Pelli’s work is appreciated for being “poetic” and “fresh” in nature. He has always managed to be among the favorites of critics. One of the frequently noted characters in his buildings is the diversity displayed in all of his works. Pelli always designs with huge sensitivity towards site and every time surprises the world with his innovative solutions to architectural problems. He produced some of the best works of twenty first century and is still working with flaming spirits. With designing, he never let go of his writing passion and have published a number of pieces which are contributing to the architectural world in their own way. Along with all this, throughout his professional life Pelli lectured enormously as well and won more than eighty awards for his offerings for the field of architecture and excellent designs.